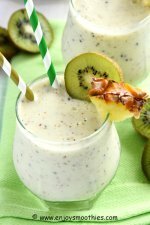 While it comes as no surprise that bananas blend with almost any fruit in a smoothie, bananas and oranges may seem an unusual combination. Actually what surprised me was just how good this combo is. 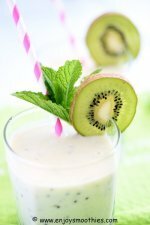 You can make your smoothie with just the two flavors of banana and orange or you can add other fruits for a bit of extra zing. Berries work beautifully. 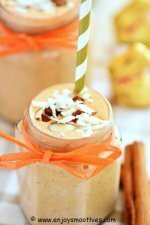 Freezing your bananas will make your smoothies thick and creamy, as will using yogurt and almond milk. I tried not to add too many different flavors, so if I didn’t use almond milk, then I used orange juice (freshly squeezed of course). Sometimes they needed just a little bit of extra sweetening, so I used honey. Oranges are a nutritional goldmine. They are an excellent source of vitamin C, associated with boosting the immune system. They also contain vitamin B1, folate, vitamin A, potassium and calcium and are high in fiber. 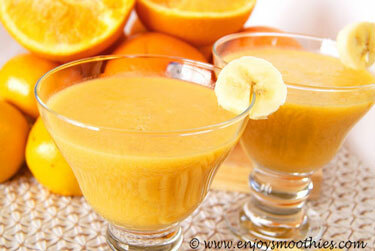 In fact one of the advantages of using the whole orange rather than the juice only, is the fiber contained in the pulp. 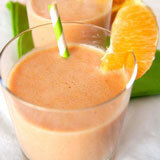 This produces a particularly creamy smoothie, sort of like a creamy orange drink. Peel and segment orange and mandarin. Place frozen banana into a blender jug. Top with orange and mandarin then add almond milk. 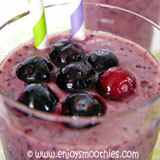 Blend on high until your smoothie is silky and smooth. Peel and segment orange. 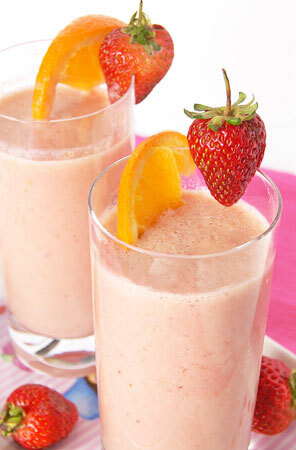 Add frozen banana, orange segments and sliced strawberries to a blender. Add almond milk, vanilla yogurt and honey and blend until velvety smooth. Peel orange and divide into segments. Place frozen banana and frozen raspberries into the bottom of a blender. Top with orange segments, then add orange juice and honey. 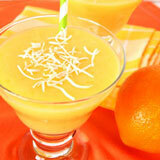 Blitz until all the ingredients are pureed and your drink is smooth and creamy. 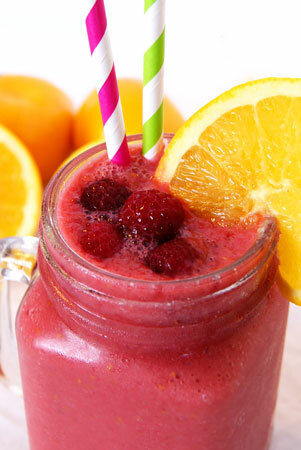 As I used frozen fruit I had to use 1 cup of orange juice. 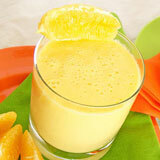 If you are using fresh fruit you will need less orange juice.